Kilbirnie is a bustling multi-cultural community with inhabitants originating from locations as diverse as Asia, Eastern Europe, the Pacific and India. Together with Maori and Pakeha they help make Kilbirnie the thriving community that it is today. 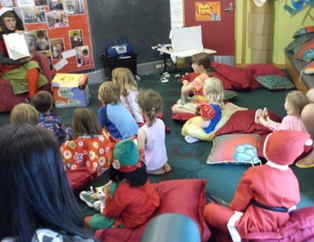 As well as a large population of senior citizens, Kilbirnie also has a large population of children. This is reflected in the two high schools and numerous primary schools in the area. It is a popular area due to its growing shopping centre, excellent public transport and close vicinity to Lyall Bay beach which is very popular with swimmers in the summer months and wind surfers in any wild weather. Adjacent to the Ruth Gotlieb Library at Kilbirnie are facilities such as the Recreation Centre, Kilbirnie Aquatic Centre and the Kilbirnie-Lyall Bay Plunket. Kilbirnie Park is also very handy and is utilized heavily for rugby and cricket matches. Interest from Kilbirnie residents for a library in their community began as early as 1912. The modesty of the residents' ambitions was touching. The leader of the 1912 delegation proposed that the library might be adequately accommodated in the dressing shed the Council was intending to erect on the recreation ground. It wasn't until 1936 however, that the Lyall Bay Library first opened in what was an old dance and caberet hall on the corner of Wha Street and Onepu Road. Local resident and builder Mr R J Ockenden, made this library space available as he "could see the great value of having a library accessible to the people". The library operated there until 1983 when a new library was opened further along Onepu Road, sharing the George and George building with an electrical shop and later with a funeral home. In August 1995 funding was approved by the council for a new library to be built in Kilbirnie, and in February 1997 the new library was officially opened on its present site at 101 Kilbirnie Crescent. 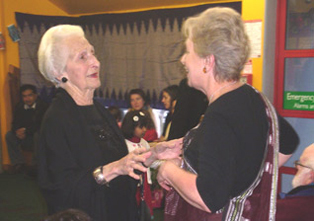 Most recently, on 11 August 2000, the library at Kilbirnie became known as Ruth Gotlieb Library, to recognise Mrs Gotlieb's outstanding contribution to library services in Wellington. The building has a modern eye-catching triangle design. It is bordered by a small car park and a brightly coloured children's play ground which is shaded by large pohutukawas. The "promenade" or hallway along the back of the building gives people shelter before entering the library and means they can enter either from Kilbirnie Crescent or Evans Bay Parade. The new building is three times larger than the old library and can hold double the book space. Inside the building is light and spacious with several nooks in bay windows and comfortable seating areas for people. The pohutukawas outside, some as old as 75 years, have been made a feature in the library. They are reflected in the colour scheme, the specially printed carpet, on the banners and in the publicity. The Māori branch name for Kilbirnie is Te Awa-a-Taia. This was a second entrance to Wellington Harbour, across the Kilbirnie isthmus. Find out more on our Māori branch names page. Our team at Ruth Gotlieb Library hail from diverse backgrounds and locations throughout New Zealand. Most of us live in Wellington but for those of us who don't live in Kilbirnie we are divided between inner city living and coastal dwelling. We have a number of interests between us which include mountain biking, karaoke, bookbinding, football, dance, travel, gardening, music, puppetry, photography, international food and film. We have computers offering both free access to pre-selected internet sites, and a charged-for service if you want to use the internet for email or other general searching. Prices currently are $3 for half an hour ($1.50 for 15 minutes) plus 20 cents per A4 page printing charge (40c for A3 sheets, 50c for colour A4 sheets). The free internet service provides free access to websites we think are useful for information or research. These include websites such as online newspapers, government websites, some NZ websites, the websites recommended in our kids catalogues and many more. Our photocopier provides both A4 (20 cents per copy) and A3 (40 cents) copies. It is coin-box operated, but we are able to give change. We have a fax machine available. There is a $4 base charge for all faxes, plus per page charges for national and international faxes ($1.50 per page for national faxes, $6 per page for international faxes). 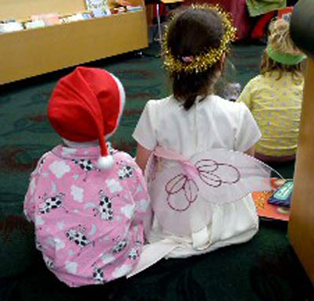 Ruth Gotlieb (Kilbirnie) Library offers a range of fun and inspiring programmes and events for children including Baby Rock & Rhyme, Preschool Storytime, school visits and holiday activities. For more information about these programmes please visit the Ruth Gotlieb (Kilbirnie) Library what's on page. We also host a range of events and meetings for adult customers including a monthly book group and ESOL social gatherings. For more information about these events please visit the Ruth Gotlieb (Kilbirnie) Library what's on page. The Ruth Gotlieb (Kilbirnie) Library collection offers a range of different material including fiction, non-fiction, children's and young adult collections, large print books, bestsellers, magazines, audio books, kohikohinga Maori collection, adult learning (ESOL), comics, maps, reference material and online databases. We also have an Arabic collection and foreign magazines in various languages. Ruth Gotlieb (Kilbirnie) Library has a large audio visual collection of CDs, DVDs (for adults and youth borrowers) and our Select collection includes many new release titles available. The library holds two week's worth of copies of the Dominion Post. In addition to these newspapers, we also have many Wellington City Council publications and various local news and information sources available.